I have been a member of St Peter’s Parish since its inception. I served as the chairman of the first building committee when we finalized the design and built our current building over 30 years ago. Now we are getting ready to renovate and upgrade St Peter’s, much the same as many of us have done with our homes. All my family has been active in St. Peters ministries. My wife, Celia, is a member of the Catholic Womens League and has served as the facilitator of the Mothers Group since our current building was completed. I am a member of the Don Bosco Council of the Knights of Columbus. My wife and I have also served as Eucharistic Ministers from the early days of the Parish. Both my sons served as altar servers and my daughter in various music ministries, and she is now joined by two of her daughters while the other keeps the altar serving tradition alive. I would like to hear from any parishioner about their ideas for how our new home for St. Peters can serve us all even better. 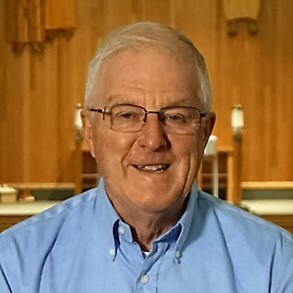 a native Calgarian, and has been a member of St. Peter’s since 2006.